Just a fraction of the ideas our clients approach us with. If it’s metal and fits in our equipment, we would love the distraction! We moonlight as product designers and engineers of a sort, allowing for creative diversions away from traditional jewelry and what we can offer as an established jewelry store - made with the same care as a 5k engagement ring. Prices start at whatever idea you come up with! A what?! Oh heck ya we’ll make that! 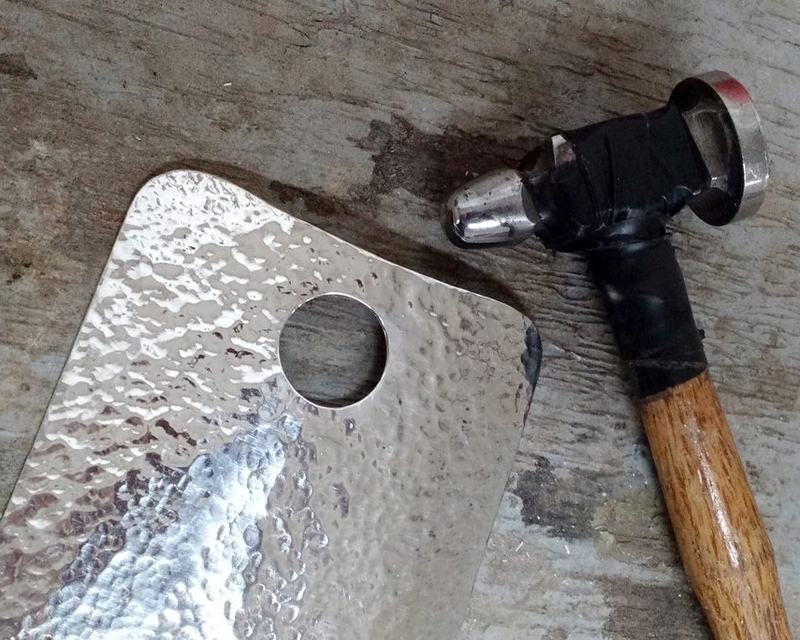 Handmade silver phone case. We were particularly aware of the copper present in sterling that would cause signal interference, making the copper free choice of fine silver necessary. If you follow Darvier online, you will know of our affinity for all things space and astrophysics. This is a rare specimen of Fukang meteorite containing olivine, making this slice like a stained glass window. A prototype mold for a soap manufacturer in Colorado. Limited run of Damascus chef knives with amboyna burl handles for the Darvier staff + one customer in an upcoming project. Inquire. A vintage belt buckle modified to carry a custom engraved solid gold coin with the shop logo for a staff gift. A small production run of staff gifts in sterling engraved with the salon logo. Arretez de regarder mon derriere. Remembrance in the form of paw print or nose print engraved pendants. We make too many of these, but always will. Viking compass with a functional cabochon of Iolite. Iolite was used for its polarizing effect, allowing ships to find the horizon through dense fog for navigation. Seen here in titanium. Boo engraved on a body piercing. For the ear, you naughty loon. 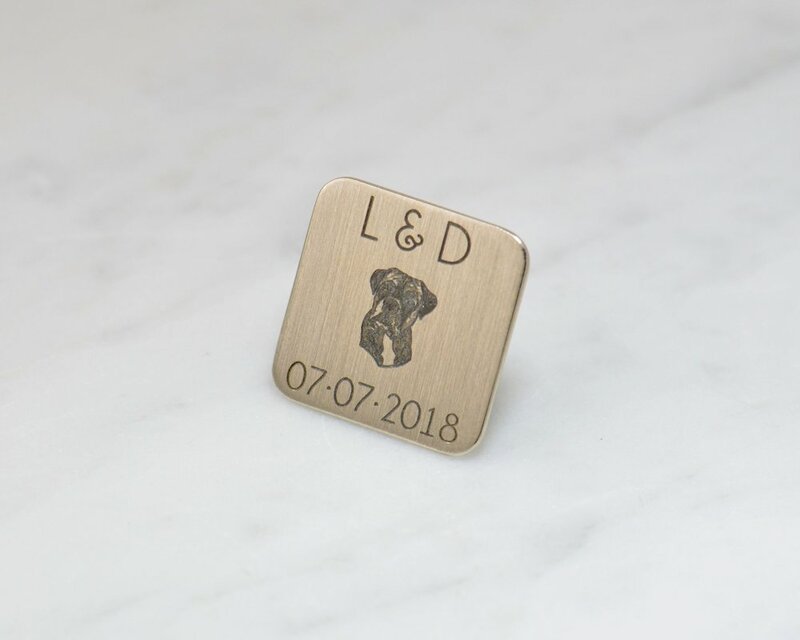 A 14k white gold marker or token for the groom, engraved with love. Diamond plugs that are very stealthy in simplicity and luxury. One of our favorite fringe projects. Polished so well you can see the face of a jeweler laughing (yelling) with satisfaction (frustration) if you listen close enough. Shh… Wha- Stranger in the Alps?